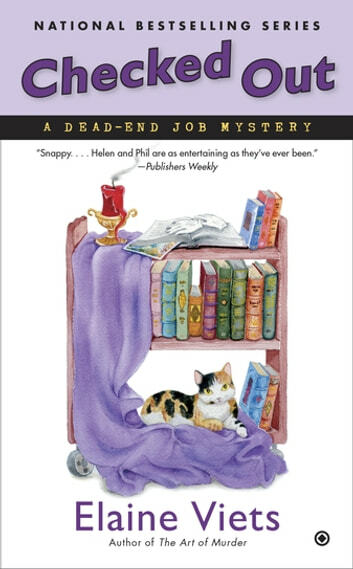 Shhh...in the newest hardcover in the national bestselling Dead-End Job Mystery series, Helen Hawthorne quietly goes undercover at a local library to search for a missing masterpiece. Wealthy socialite Elizabeth Cateman Kingsley has hired Helen to find a missing John Singer Sargent painting, owned by her late father. After his death, many of Davis Cateman’s books were donated to the Flora Park library, and his daughter suspects the small watercolor—worth millions—was tucked away inside one of those dusty tomes. To search the stacks, Helen applies for a position as a library volunteer and discovers the library director has a catalog of complaints—from a mischievous calico cat named Paris to the mysterious disappearance of various items that some of the more imaginative staff are attributing to a ghost haunting the building. While her husband Phil sticks his neck out to find a missing necklace, Helen is on her own with no one to lend her a hand. When a dead body turns up in a parking lot, it appears someone is willing to go to any lengths to keep the treasure in the library quiet. Now Helen is bound and determined to find the killer as well as the painting—before she’s taken out of circulation herself.